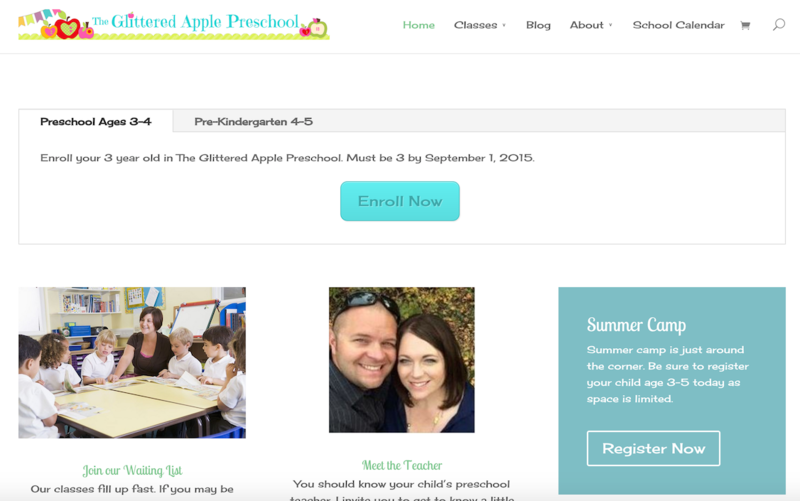 This is a website I built for my son’s preschool teacher. She is amazing by the way. I’m happy with how the website turned out. Using WooCommerce I made it possible for parents to fill out all of the necessary information relating to their child that the teacher would need to have. We even added a field where parents can list food allergies that the teacher needed to be aware of! Also during the payment flow the parents are able to see a preschool policy sheet. But I believe the coolest feature is that the teacher can manage her class lists right in the WordPress backend thanks to the WooCommerce plugin. Parents also pay their enrollment fees through the website, but we opted not to do recurring billing. Eventually we’ll add that feature. Maybe for the next school year. Contact me if you have any questions about how I built this site or if you have a similar need. Clicking the image below will take you over to The Glittered Apple website if you want to check it out.